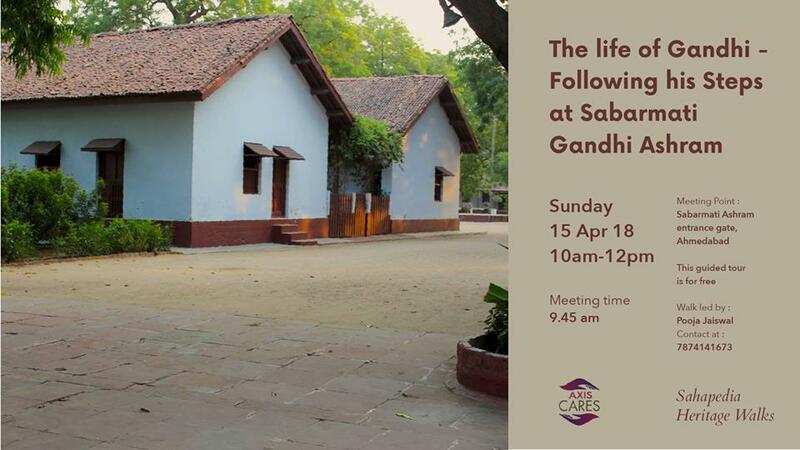 Sabarmati Kochrab Ashram was Mahatma Gandhi’s residence from 1917 to 1930. He practised his principles here and led the fight for independence demonstrating his life principles. Originally called Satyagraha Ashram this place was a centre for people who wanted to join Gandhi in the freedom struggle. It was from this place that he began the Dandi March with his companions. He also started a school in the premises to promote literacy. Gandhi and his followers hoped to foster a new social construct of truth and non-violence that would help to revolutionise the existing pattern of life. Step-1- Please like & share the page to register. If you are unable to participate after having registered online do inform us through a text message or an e-mail, ideally at least a day prior to the walk. Register only if your participation is confirmed. • Wear comfortable shoes and carry drinking water.